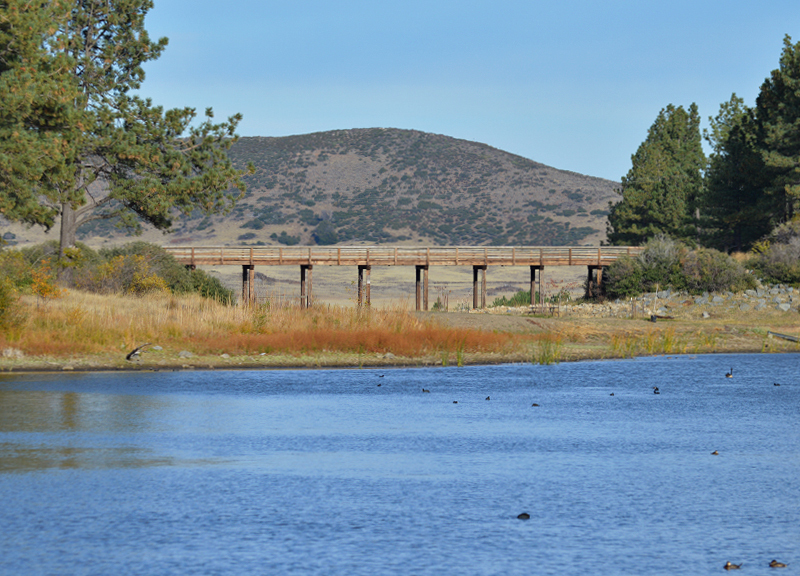 The hardest thing about finding Lake Cuyamaca was locating it on Google. Apparently, I spelled it so bad that even Google didn’t recognize what it was. Did it start with a “G” or with a “C”? After a few tries, I spelled it close enough to get the links I was looking for and the info on where it was and how to get there. 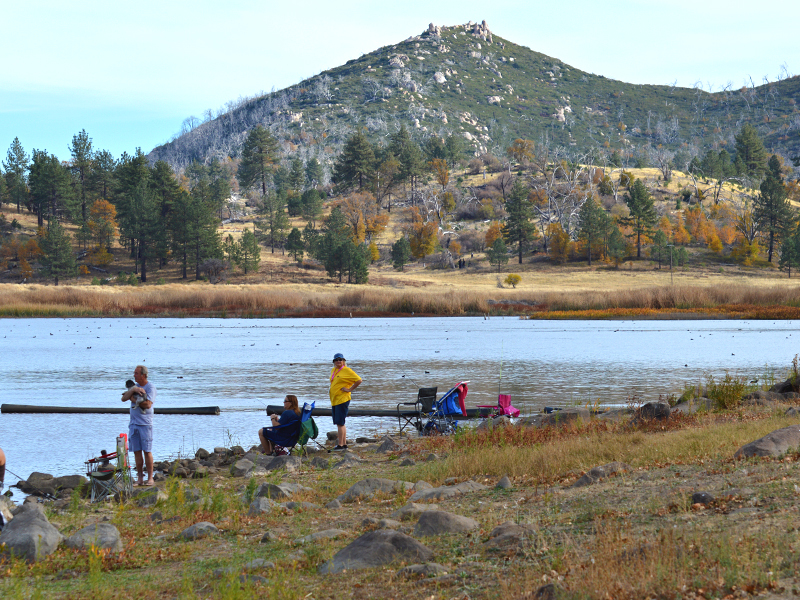 Lake Cuyamaca is about an hour’s drive from San Diego and only ten minutes from the small town of Julian. The route to Julian from Oceanside is one of my favorite drives even though it takes over an hour to get there. 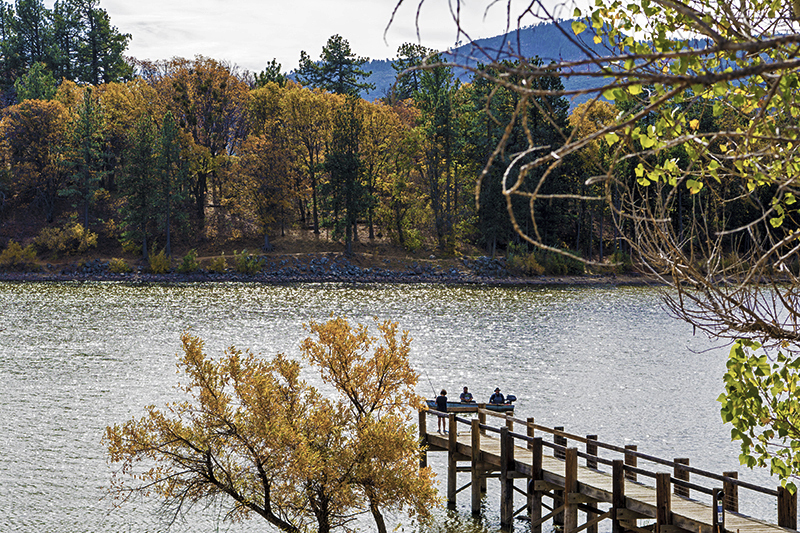 I had heard about this lake many times and always wanted to visit, so off we went with fishing poles in hand, cameras, munchies, and a warm change of clothes. 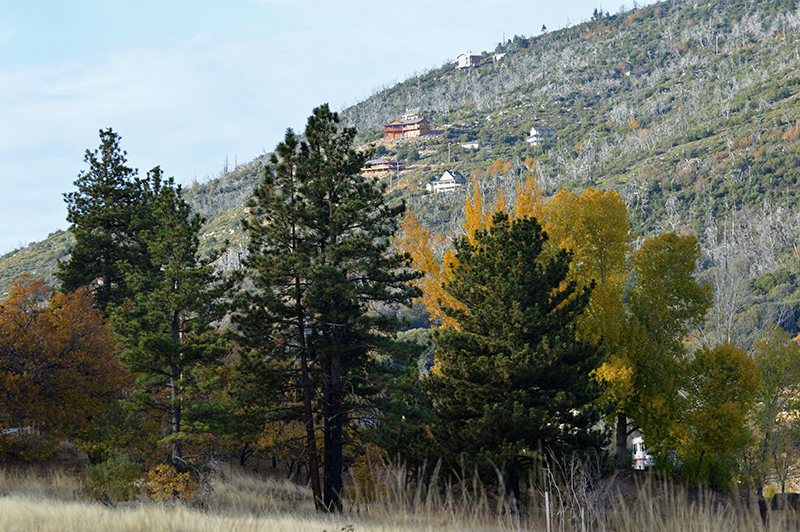 As you pass through the main street of Julian you eventually hit the road that heads towards the lake. The scenery along the way is filled with meadows and hills and you would never know that it snows there at certain times of the year. 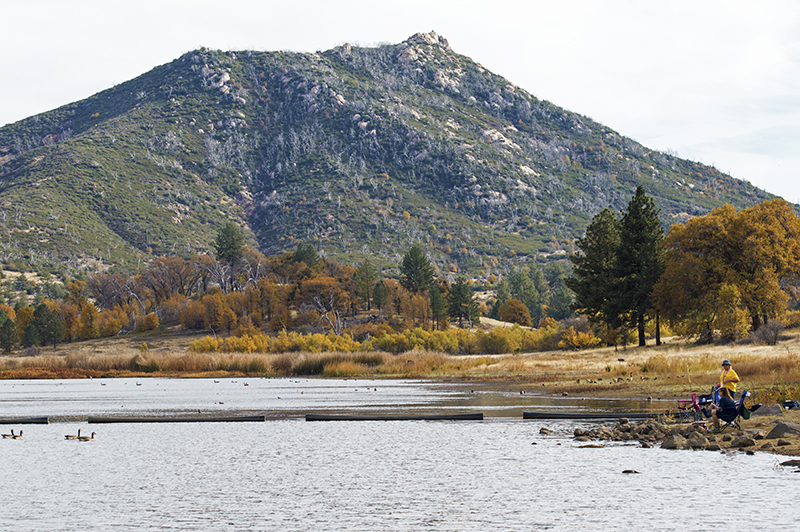 Situated at an elevation of around 4,600 feet, the lake is nestled in a forest of mostly pine and oak and is surrounded on three sides by the 26,000 acre Cuyamaca Rancho State Park. On an exceptionally warm day in November, we departed Oceanside with the car thermometer showing 85 degrees outside. Dressed in shorts and short sleeves, we noticed the needle slowly descending toward lower numbers as we drove further up in elevation. When we arrived at the lake it was 65 degrees. At first it felt kind of nice and refreshing so I kept on my summer attire, but after a while I made the mad dash to the car to find my warm clothes consisting of a sweatshirt and long pants. I may be a beach girl with salt water for brains but even I know it gets colder at over 4,000 feet above sea level…plus I Googled the current temperatures. Now it was time to get busy fishing. As we sat alongside the lake, a few people stopped by to chat and casually let us know that the lake had been dead the last few days. One guy said he hadn’t caught anything in three hours and in that same time period we only got three small nibbles. 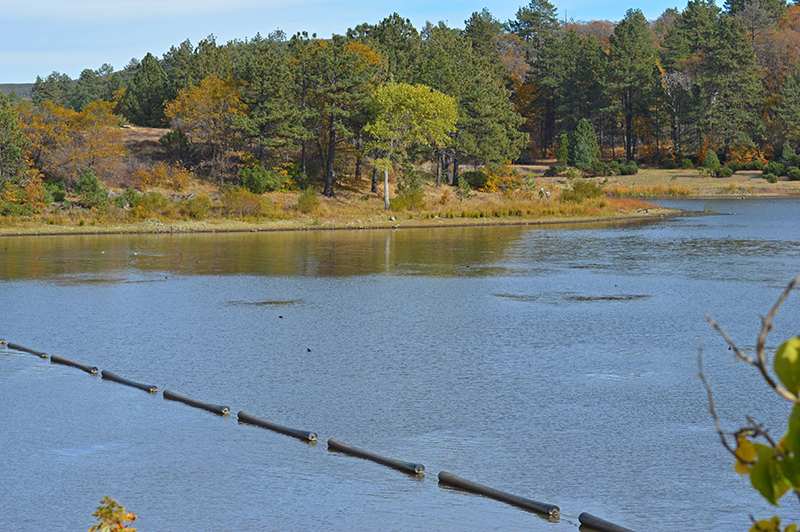 Don’t let that discourage you as they stock the lake annually with over 38,000 lbs. of trout. They just weren’t biting that day where we were, or on the boats, or on the dock, or anywhere near someone’s fishing pole. It was just one of those days. 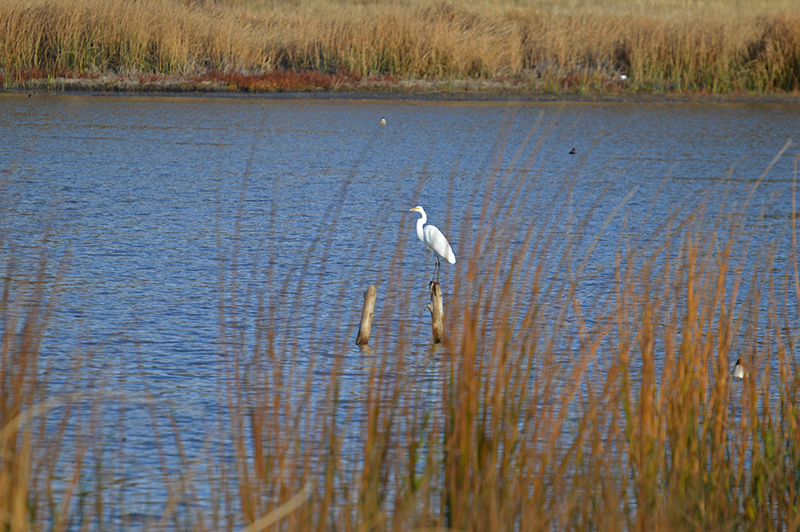 Other than trout, the lake also has bass, catfish, crappie, bluegill, and sturgeon. Although fishing wasn’t happening, it was still nice kicking back at this picturesque lake. 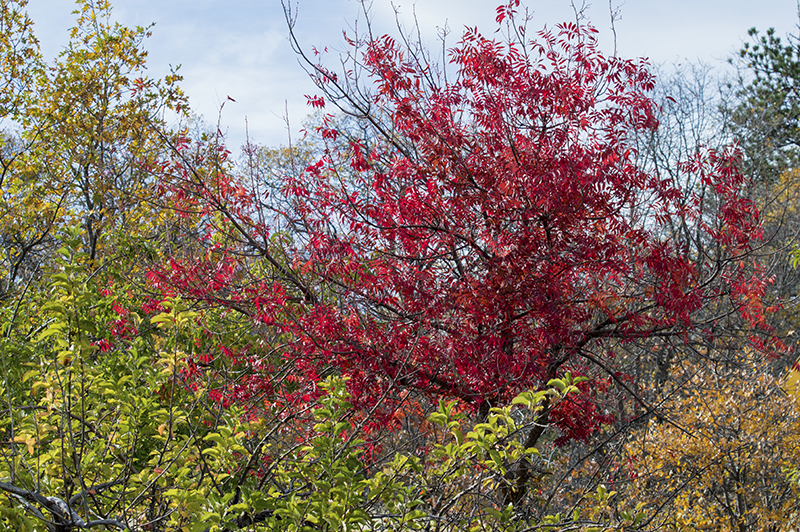 A lot of the trees were a beautiful fall color and there were tons of birds on and around the lake. I have heard the description of nature as being food for the soul, if that was the case; we were getting fed quite well. On the menu was: the peacefulness of the lake with a gentle breeze skimming the water, white Egrets taking flight, large geese and ducks everywhere, the hills, colorful foliage, and for dessert… a full moon rising as the sun set to the west. 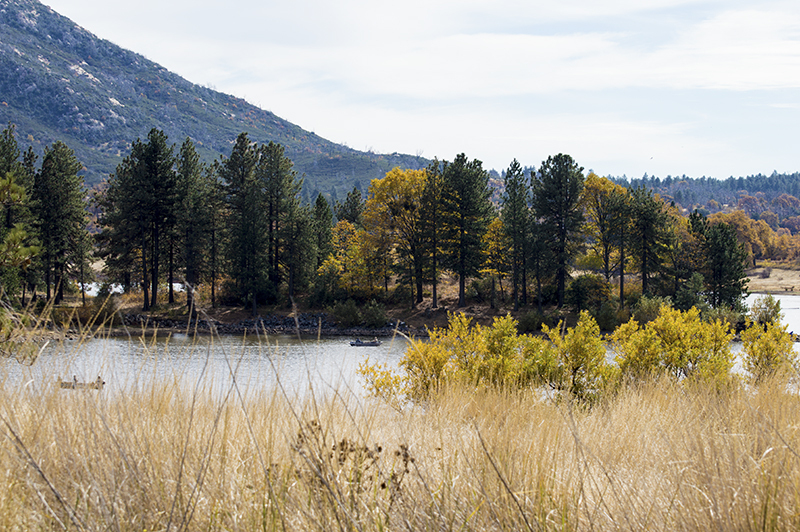 If we wanted a short get-away for the day, Lake Cuyamaca delivered. 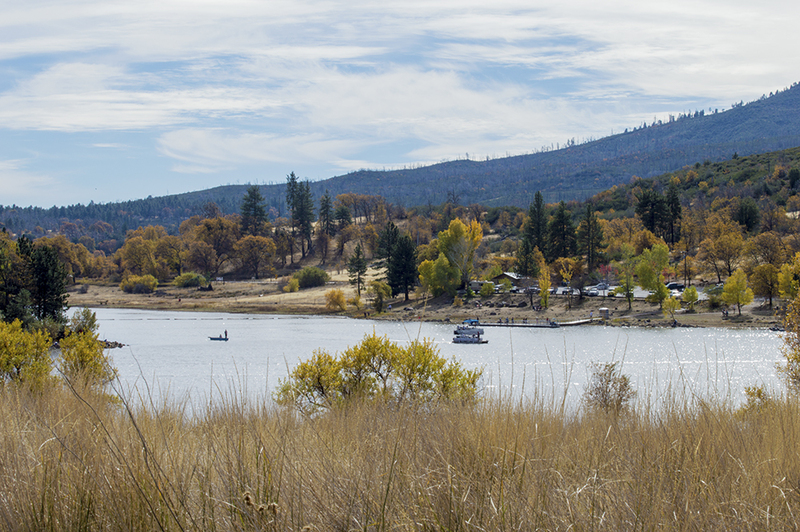 There are plenty of other things do in the area, such as, hiking, boating, camping, bird watching, picnicking, to name a few. 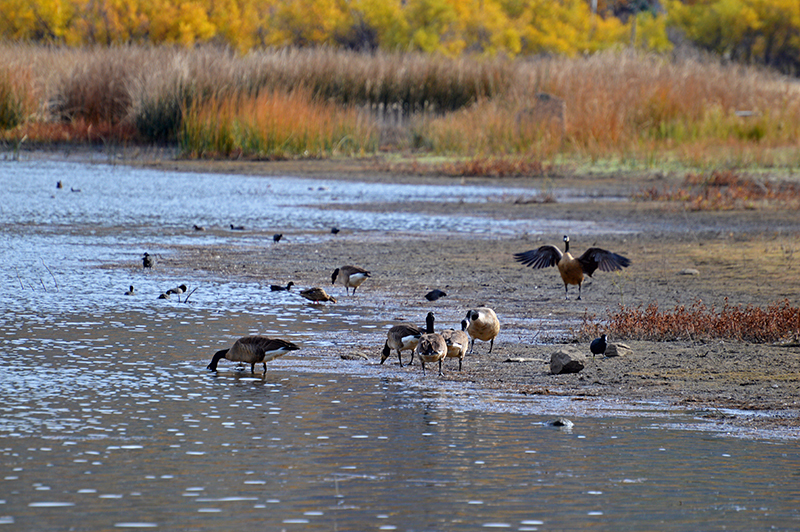 I am no expert but it seemed like there were many different species of birds to keep a bird enthusiast busy for hours. The trails around the lake made it easy to get from Point A to Point B and allow you to get close to some of the ducks and geese. They say you will catch an occasional deer sighting once in a while. For longer stays there are cabins you can rent that they call, “Camping in Style.” They come with a private deck, Bar-B-Q, full size kitchens, and the all-important flat screen television. Forget to bring something while you are there? No problem, the market is right by the tackle shop and the restaurant. 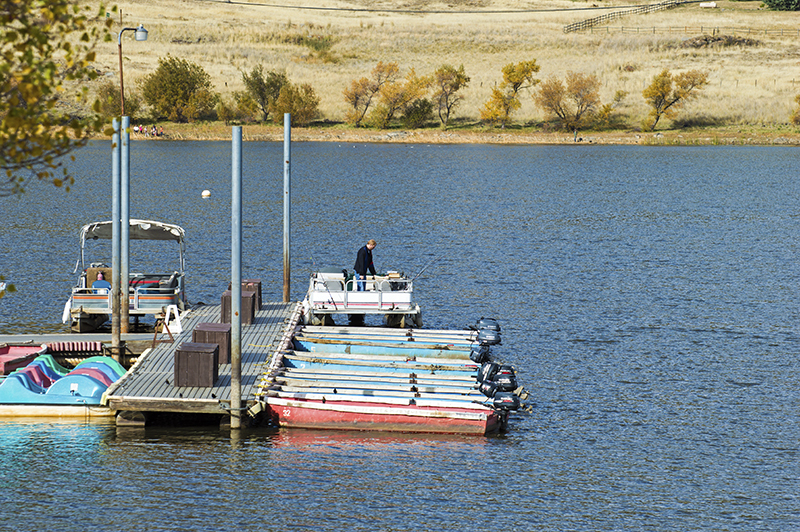 The tackle shop is where you pay for parking as well as fishing and the fishing permit only costs $8.00 per day which includes parking. The restaurant is open until 8:00pm and you can dine inside or on the patio with a great view of the lake. I heard from a local that it is pretty yummy. 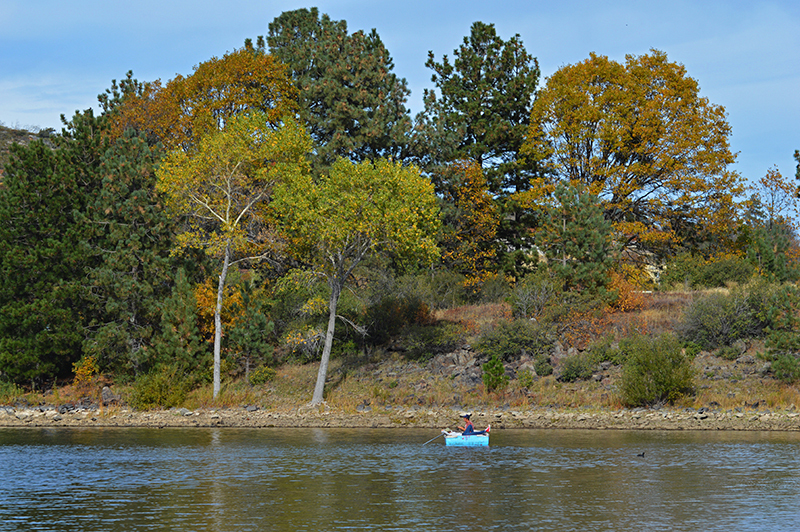 You can also rent motorboats, kayaks, row and paddle boats, or bring your own. We almost choose to rent a boat but opted to fish at the shore. 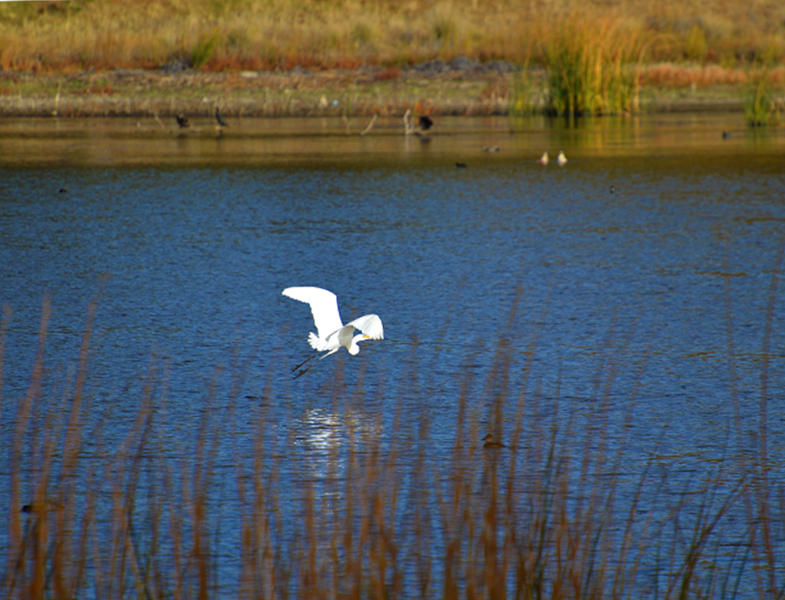 I was pleasantly surprised on how scenic it was at the lake and the surrounding area. It was well worth the drive. 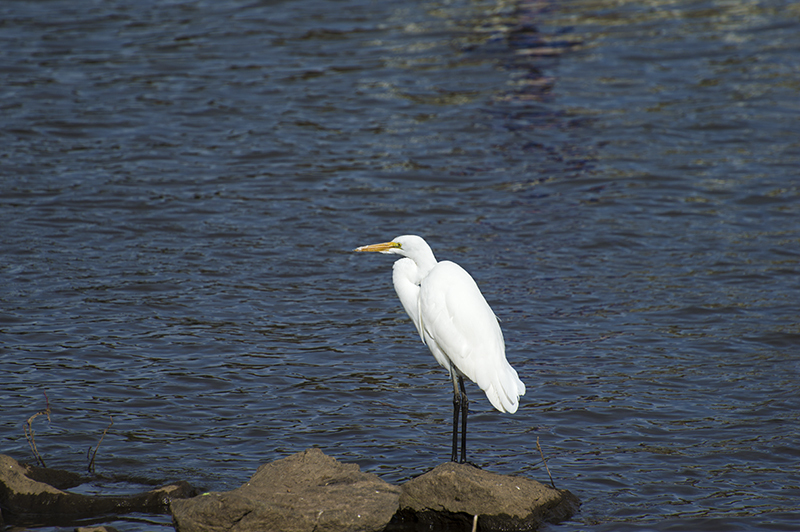 Fishing or no fishing, it is a nature lover’s paradise that I hope you can go see. 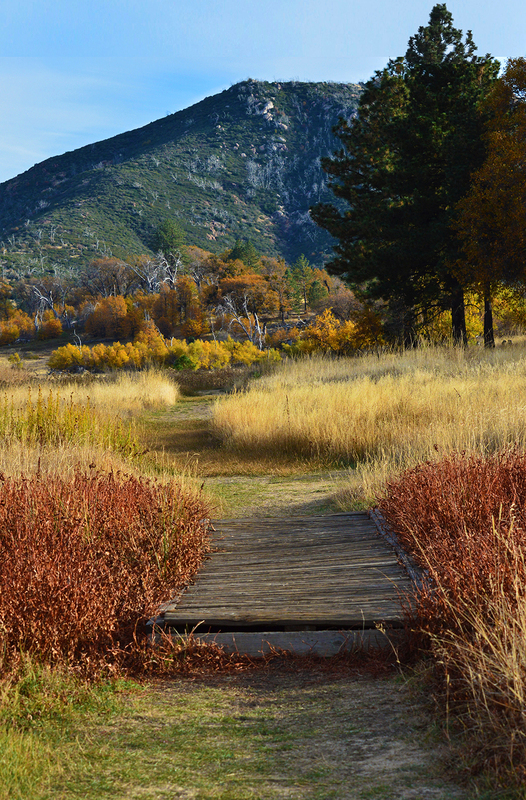 Love this shot of the wooden path and the fall colors.